Melbourne Trivia Co host Melbourne's most popular trivia quiz events. Melbourne Trivia has a reputation for presenting funny and enjoyable trivia events around Victoria. We're p..
Quiz Meisters run awesome trivia nights at the following venues: ..
QuizzaMe Trivia is Australia's only interactive trivia game! Grab a QuizzaMe buzzer and play.. This is the full quiz show experience. 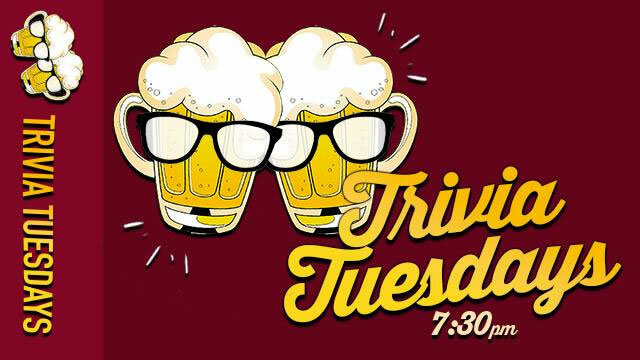 An audio visual extravaganza at its ..
TRIVIA TUESDAYS Put your trivia to the test every Tuesday! Starts at 7:30pm Prizes to be won! $15 Carlton & VB Jugs $6 House Wine ..